Welcome to our online reservation for a Sun bed with the best Beach View. 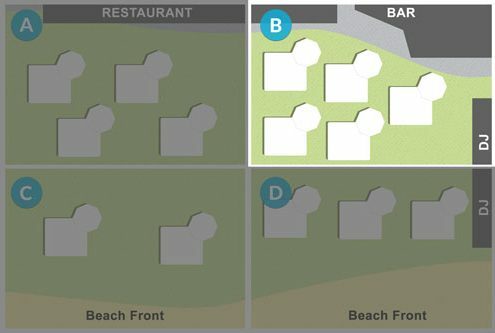 If you want to be away from the People at the beach and be next to the music action, Area B is the most Suitable for you. Here you will be enjoying the music vibes of our Resident & Guest DJs while being around our customers who are in the same mood as you. *Each booking holds a maximum of 8 persons. *By Default the minimum price for a reservation is for up to 4 people.